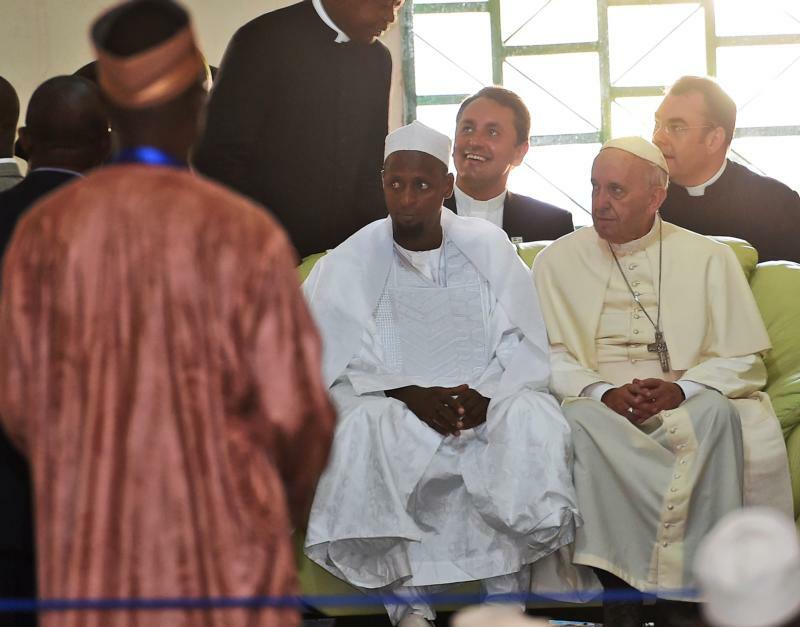 OXFORD, England (CNS) — A Catholic leader in the Central African Republic said Christian-Muslim ties were affected positively by Pope Francis’ Nov. 29-30 visit and his simple message of living peacefully. “No guns or grenades sounded during the visit — and while some unfortunate incidents occurred afterward, there was no resort to open violence,” said Msgr. Cyriaque Gbate Doumalo, secretary-general of the bishops’ conference. He said the bishops’ conference president, Archbishop Dieudonne Nzapalainga of Bangui, had been well received Dec. 9 when he and three priests walked through the mostly Muslim neighborhood known as PK5 to “check the situation” and encourage Christian-Muslim ties. “Access to PK5 has long been blocked, but since the Holy Father’s departure, people have been coming and going freely again,” Msgr. Doumalo told CNS Dec. 11. “Our church is trying to protect and nurture the capital of dialogue and social cohesion which the pope bequeathed to us. We hope economic life will now also resume, as fears and hostilities are overcome, and a definitive peace allows reconstruction in our country,” he said. He also visit a camp for displaced people near the mosque and rode around a Muslim neighborhood with Imam Tidiani Moussa Naibi. Intercommunal fighting in September left many dead in PK5. Msgr. Doumalo told CNS he had not heard about a “nonaggression pact” allegedly signed by rival militias before the papal visit, adding that he doubted the accuracy of a Dec. 10 report in a Rome-based news outlet. Presidential elections, postponed from October, are scheduled Dec. 27 and are seen as crucial to ending the Central African Republic’s three-year civil war. In all my readings of Muslims, it puzzles me as how Christians believe that they will co exist with a group of Muhammad followers. Centuries of history, up to the present, prove that it will be impossible to co exist with those who believe that to get along one must convert to their way of life.